The online apparel category has been the leader in number of orders in Brazil for the last 4 years, according to Ebit. Despite last year’s crisis and the economic slowdown that haunted Brazil, the sector kept growing. In 2017, the Ebit report registered a growth of 9,1% over the previous year. Increase of the ecommerce market in the region, diversity of the online apparel industry and more access. These trends are connected to the shift in the customer behavior of Brazilians, who are each time more familiar with the online shopping process. 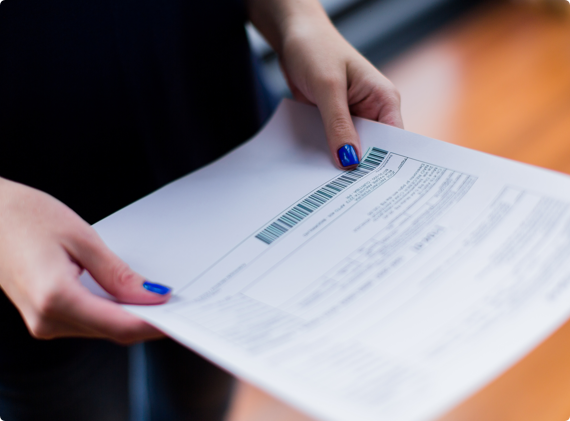 So, how this can affect you as an international merchant? 22.4 million Brazilians have shopped in international ecommerce websites and have spent, on average, USD 36.8 (around BRL 117.8). 48% of them have made at least one international purchase in 2017. There was a 11,3% increase in the number of orders from international websites, reaching a total of 73.8 million orders. In the same year, Ebit estimates that Brazilian e-consummers have spent up to USD 2.7 billion buying goods from foreign websites, an increase of 15% compared to 2016. An interesting fact that is worth noting is that 4 of the most searched for international websites by Brazilians sell fashion items. They are: AliExpress, leading the rank with 54%, Amazon, with 26%, eBay, with 19% and Light in the Box 6%. Interested enough? Good. Let’s part to the practical part, then. If you want to sell to Brazilian customers, you have to play by the Brazilian rules. For you to sell your products in Brazil, you must have a basic understanding of the cultural nuances, habits and traditions of the country. That includes knowing the biggest shopping dates, which cities buy the most and which payment methods you should offer. Let’s dig in. The month with more apparel orders in Brazil is usually November, combining Black Fridays sales and the beginning of the Christmas gifts frenzy. Yet, there are many regional dates that deserve your attention. Take St. Valentine’s day, for example. In Brazil, the date is actually celebrated on St. Anthony’s day, on June 12th, and is one of the most lucrative periods of the year for Brazilian e-commerce stores. This year, the Brazilian Association of E-commerce (AbComm) estimates that consumers spent around BRL 2.6 billion on e-commerce for the date. The tip here is to start planning your holiday marketing campaigns in advance and create specific marketing campaigns through different channels, showcasing local values. Be ready for the Brazilian market. 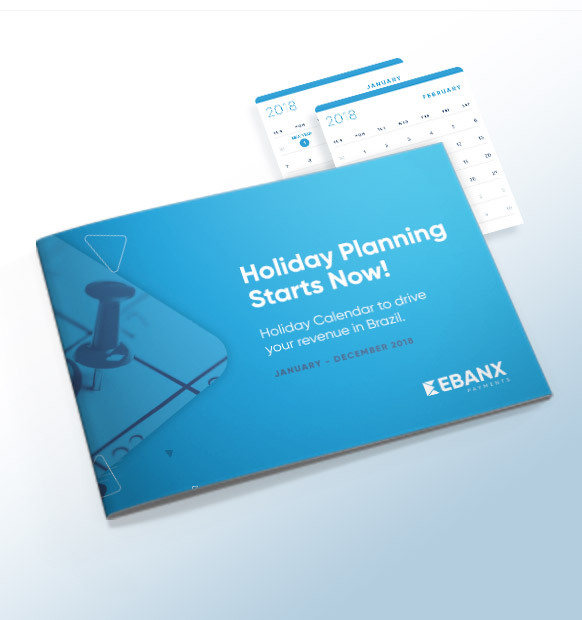 Get the full 2018 Best E-commerce Dates in Brazil Calendar and don’t miss any sale. Knowing how to target your ad campaigns using geolocation helps you optimize time, cost and effort. The Brazilian region that leads the ranking when it comes to online apparel is the Southeast region, representing around 63,6% of orders. 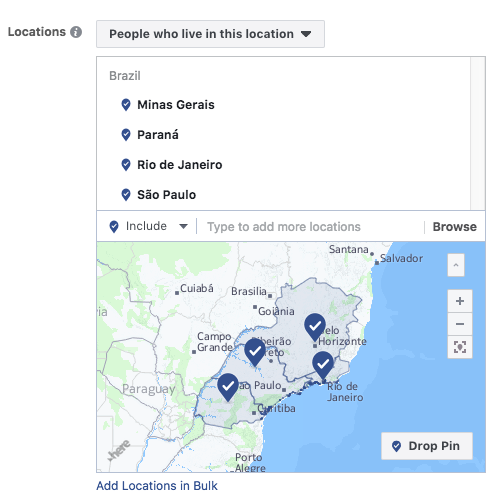 With that in mind, think of targeting the ad at people living in the states of Sao Paulo, Rio de Janeiro, Minas Gerais and Parana. Why? Because of lack of trust, most particularly when it comes to payments. Brazilians are used to paying online using payment methods that might look peculiar for you, but that are very common for them. For you to have an idea, in 2017 around 39,1% of the Brazilian customers payed for their online apparel purchases using a cash voucher called boleto bancário. That excluding all the other ecommerce categories where payments with boleto are even more common. So, if you are considering marketing towards Brazil, you must have a local payment strategy for your business to thrive. For your store to come out on top, a solution is to partner-up with a local payment partner and accept local payment methods, such as the boleto. That way you will increase your credibility, reduce cart abandonment and improve sales. The boleto bancário is a voucher that can be issued online and paid offline, with cash, in many locations in Brazil. Brazilians use this payment method to pay for their monthly bills as much as they use it to pay online, so it is something really connected to their everyday life. Thus, accepting boleto will make your Brazilian customer trust your store much more. Paying for purchases through monthly installments on credit cards is a very common practice in Brazil. All Brazilian online apparel retailers offer this option when it comes to more expensive purchases. By paying with up to 10 parcels, customers are able to shop for more the clothes they yearn for even when they don’t have the the full amount yet. In simple words, accepting installments will increase your ATV (Average Ticket Value). While credit cards are the most common payment option in e-commerce, a small detail might be getting in your way. Only a small part of Brazilian cards are enabled to make international purchases. So, if your e-commerce store doesnt accept domestic cards, you may be risking having customers abandoning their full carts because of one technicality. The solution for that? Partnering with a payment company that offers local credit card processing. So, are you considering selling your apparel items in Brazil? Let me know by leaving a comment below. For more strategies on expanding your online store globally, I recommend you to download our e-book below. It is rich in information and contains many tips on international expansion.